I’m guilty of having a draft box full of unfinished posts. There are times during the year where I have too much going on to sit down and write! Other times, I’m just too darn tired! And it’s usually the latter! 😉 Now that the crush-window of my harvest preservation has passed, I’ve found myself reviewing those neglected (but not forgotten) posts. I try to keep my posts as seasonally appropriate as possible. Since it is Spring in Australia, cherries will soon be in season. Forever the optimist, it’s always Summer somewhere! Pit cherries over a bowl to catch all that wonderfully delicious juice! If you want to prevent oxidation where the pit was removed, sprinkle on a bit of Fruit Fresh. Place pitted cherries in a food processor and pulse several times to chop them up; do not purée them. I first tried to mash them with a potato masher, but found that method to work best with softer fruits, like strawberries and peaches. Split vanilla beans lengthwise and scrape out the seeds. In a large stainless steel sauce pot, combine cherries, cherry juice, lemon juice if using sweet cherries, and vanilla seeds. Reserve 1/4 cup sugar to mix with the pectin (this helps to prevent pectin from clumping when added to the hot fruit), add the remaining 1-1/4 cups to the fruit mixture and stir well. Bring to a boil over medium heat; stir in almond extract. Add sugar-pectin mix to fruit and stir to incorporate. Bring jam to a hard boil, one that cannot be stirred away, and cook for one minute. 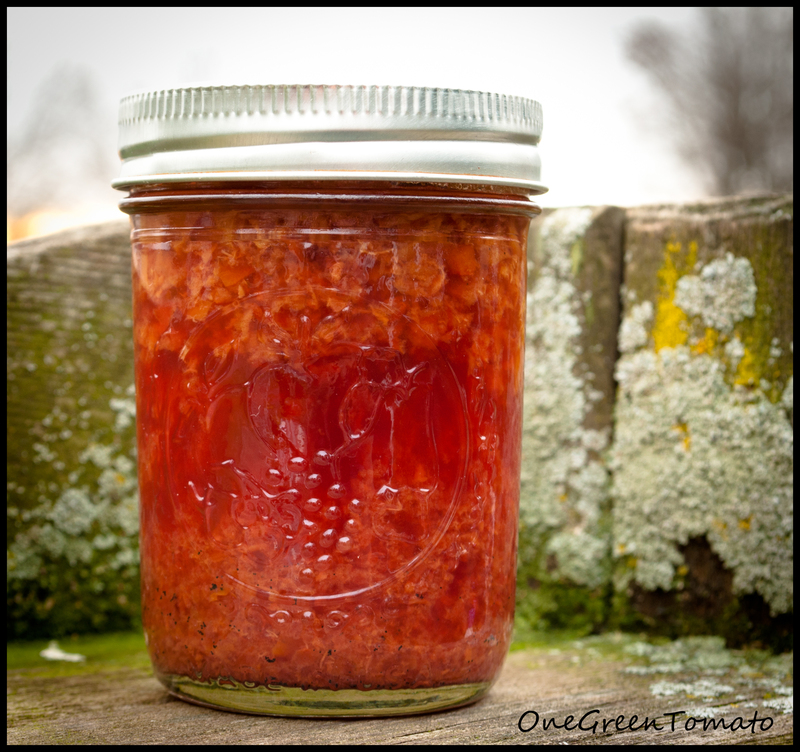 Ladle hot jam into hot, sterilized half-pint jars; wipe rims, adjust 2-piece lids to fingertip-tight and process in a boiling-water canner for 15 minutes. Remove jars and allow to cool, undisturbed, on a wire rack for 12-24 hours. Check seals, remove rings, and store in a cool, dry place for one year. Be sure to give this jam a good stir before using, since most of the vanilla seeds tend to settle on the bottom of the jar!